This week @AIESema, @MaxTheGrey and Astromech EPC-29 talk about the two new tactical Flash Points on the Public Test Server. These Flash Points introduce new characters and kick off the storyline that Bioware alluded to in their summer roadmap blog post. 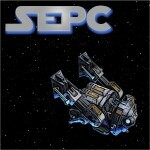 We also cover news for the week from SWTOR in general and from AIE in SWTOR. Of course, you’ll also hear what we have been doing lately. Rumor of the century of the week: With the new levels being added to the fleet there is rumor of a secret level as well. Nobody has accessed it yet but data mining has found keywords including, “friendship”, “magic”, and “Darth Celestia”.